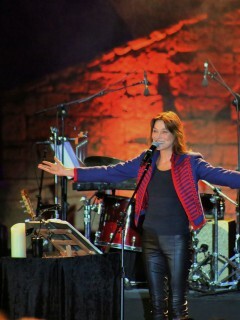 BBAC supported the 33rd annual Beiteddine Art Festival, organized by Mrs. Noura Jumblatt, as the main sponsor of the Italian-French singer’s concert and France’s former First Lady, Carla Bruni, whose performance was one of the most anticipated at this year’s festival. 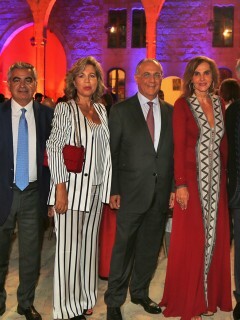 The concert was held at the large and magnificent 200-year old Beiteddine Palace where Bruni took the stage and enchanted the audience with her sensual voice and warm smile, performing classic rock, country and jazz from her fifth album, "French Touch". 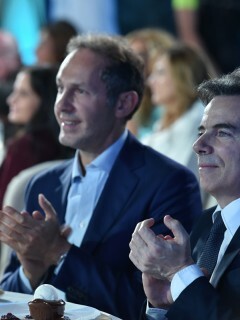 Among the audience were Lebanese Prime Minister Saad Hariri, former French President Nicolas Sarkozy, former Lebanese President Michel Sleiman, as well as many other prominent personalities. 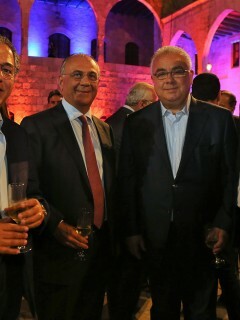 A cocktail reception followed the concert in the majestic inner courtyard of the Beiteddine Palace where, BBAC’s Chairman Ghassan Assaf and his spouse, along with their guests, mingled with the former French presidential couple Sarkozy and Bruni, in presence of many other distinguished invitees. 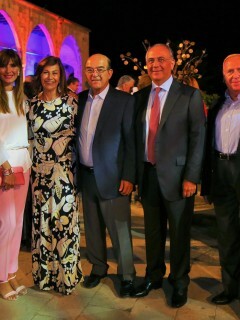 BBAC held its annual gathering in honor of its staff at the Hilton Beirut Habtoor Grand Hotel, in presence of the bank’s Chairman and General Manager Sheikh Ghassan Assaf, and members of the Board of Directors, as well as more than 900 of the bank’s employees. 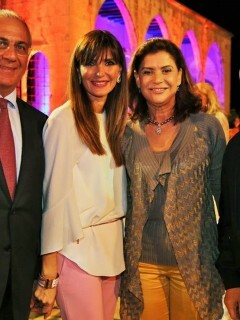 Hosting the gathering was TV presenter, Hisham Haddad, who featured a variety of entertaining activities that created a tasteful ambiance. 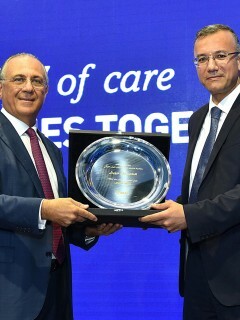 This ceremony comes as part of the bank's appreciation of its employees and their dedication to their work, as well as their role in achieving growth and ensuring customer satisfaction. Human capital is one of the cornerstones of the Bank's success which, time and time again, has proven its competence in developing human resources and providing high levels of professional development and training programs. 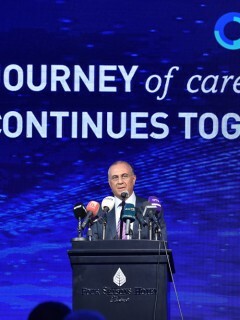 On this occasion, Sheikh Ghassan Assaf welcomed the attendees, and expressed his hope and optimism in re-activating the country’s economic cycle, despite the current challenging economic conditions which the bank successfully faced. He went on to review the financial results for 2017, while praising the bank's positive growth and highlighting the most important projects and future plans, especially in the areas of e-banking and banking customer experience. 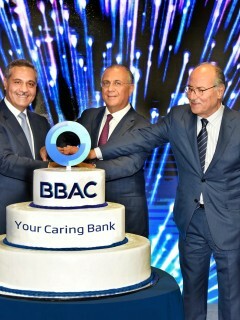 Finally, Sheikh Assaf thanked the BBAC family for their loyalty, efforts and their keenness to reinforce the bank's renewed image and identity under the slogan "Your Caring Bank". BBAC was awarded “Best Brand Identity and Slogan” by the World Union of Arab Bankers (WUAB), at the 2018 Arab Banks Awards & Commendations of Excellence annual ceremony. 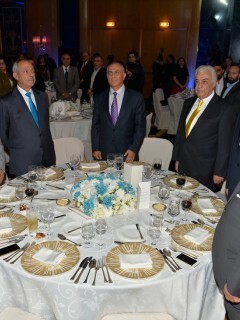 The ceremony, organized by The Banking Executive Magazine, was held at the Casino du Liban, in the presence of a score of leading bankers and international banking supervision dignitaries from international and regional institutions. 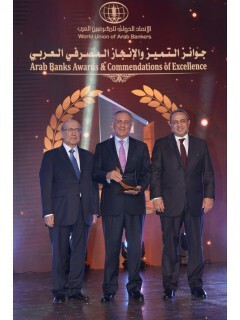 It is worth mentioning that the Awards & Commendations of Excellence are given annually in accordance with the standards and requirements set by the WUAB; which is a banking consortium of over five hundred members, across the Arab world and the rest of the world. 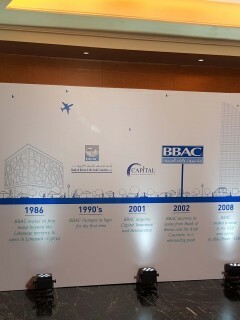 For the 8th year in a row, BBAC remains the prime supporter of the Al-Jabal Marathon. 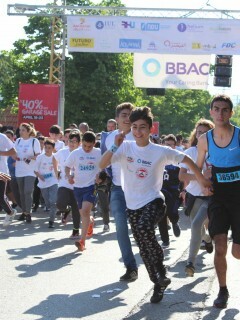 Held under the slogan “We Run Together”, the marathon is jointly organized by the Lebanese Youth Association and the Martial Arts Club and set off from two different areas, Ain Zhalta for the 21km, and Kfar Nabrakh for the rest of the distances, both ending in Bekaata in Chouf district. BBAC’s dedication to support this yearly event stems from its commitment to the youth, supporting them to go to new lengths and unleashing their potential, seeing that they are the future of this country. 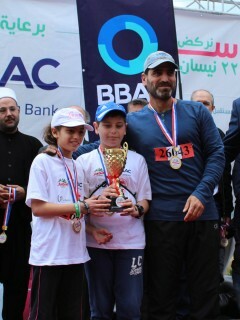 An award ceremony was held at the finish line, in presence of key social figures, municipality leaders, political figures, heads of participating schools and universities, as well as BBAC’s management and employees who were taking part in the marathon. Year after year, Al-Jabal marathon committee touches on international standards and takes into account all age groups and genders. 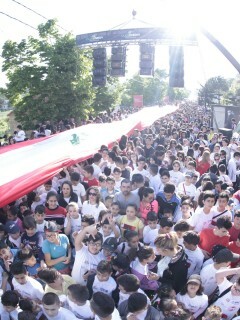 Al-Jabal marathon is the largest sporting event in Mount Lebanon, which this year gathered around 10,000 participants from all Lebanese regions. 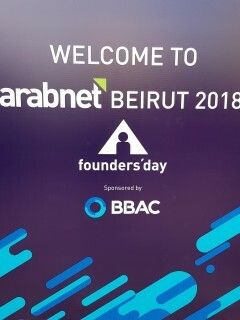 BBAC supported ArabNet Beirut 2018 - the longest running digital event in the MENA region, that brought together 1,800 attendees and more than 80 speakers to discuss the latest trends and opportunities in Lebanon and the region. 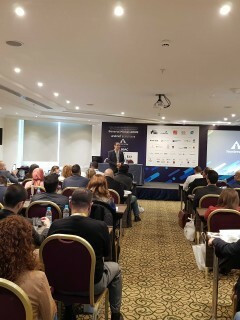 The conference included three forums: Digital Transformation, AdTech & Innovation and Investment. The conference featured the Banking Innovation Day to highlight digital technologies transforming financial markets and banking, with a focus on the MENA region. It also served as a platform for entrepreneurs and innovators who are looking to hone their skills and develop their products, plus it gave them the opportunity to present their ideas and startups through competitions. 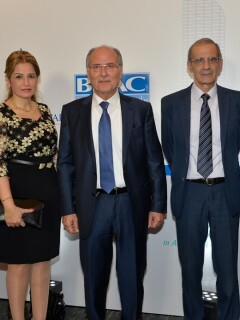 BBAC launched its new brand identity at an official ceremony held at the Four Seasons Hotel-Beirut in the presence of a crowd of media figures and members of the press. The Bank's new brand identity is inspired by its close relationship with its customers and community. 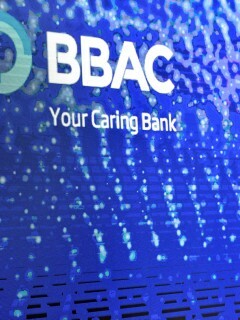 This relationship, which BBAC has always been distinguished for under the slogan "Your Caring Bank ", surpassed the traditional relationship banks have with their customers where care has come to incorporate that feeling of comfort and trust between the Bank and its stakeholders. The new symbol manifests two persons, BBAC represented in blue, and the customers and the community in aqua, coming together as equal partners to form an interlocked circle, a sign of the solid relationship between them. 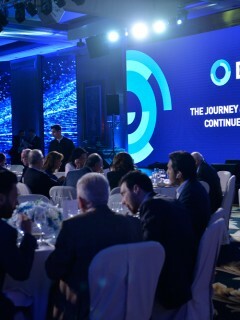 In his speech, Sheikh Ghassan Assaf, Chairman and General Manager of BBAC, said: “This new chapter comes in light of the changes and developments taking place in the banking sector, especially in terms of technological developments. We meant for this change to reflect our modernity and openness as a bank while also preserving our 60-year legacy and achievements. " Sheikh Assaf also emphasized his sincere optimism and faith in Lebanon and said: "We have been contributing to developing our country since 1956 and we remain committed to caring for our country and its people. 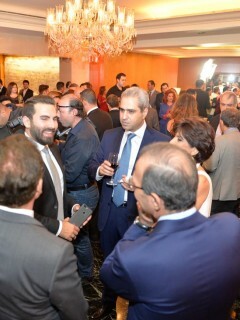 We believe in Lebanon, which is known for its steadfastness and spirit of innovation regardless of the challenges.” Sheikh Assaf promised further expansions and the launch of innovative products, in addition to investing in digital services to keep pace with the latest experiences happening around the world.